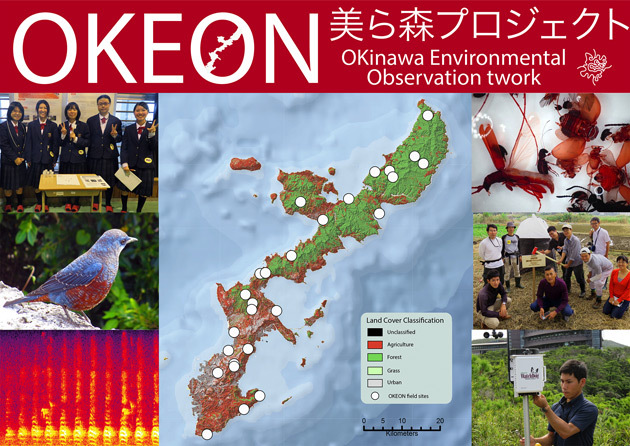 Researchers working as part of the OKEON Churamori project received the “Biodiversity Action Award Japan” for their continued efforts to monitor the terrestrial environment of Okinawa and to conduct research for promoting biodiversity conservation. The prize was awarded by the United Nations Japan; this year marks the fourth year in a 10-year initiative to promote Biodiversity. OKEON Churamori project was awarded under the ‘protection’ category, as it aims to measure, monitor and understand the terrestrial environment of Okinawa as well as develop a sustainable network for environmental education among the Okinawan community.